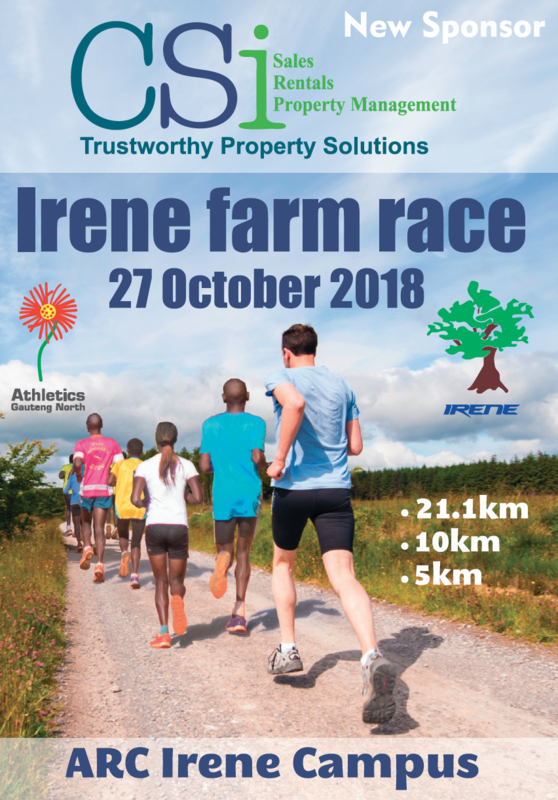 Please bring the whole family to join Irene Athletics Club and 4000 enthusiasts to run/walk along the tranquil streets of Southdowns, the Irene Dairy Farm and the scenic Irene Golf Course. Farm animals can be seen along the route. There just is not any other race like this! The CSi Irene Farm Race is the third and final leg of the 2018 Irene Triple Challenge. With a new sponsor CSi on board the future of this race is looking bright and exciting with a number of features and events for the whole family this year. We really want to make this event and entire day a fun family outing for the entire family and have introduced a 1km kids run to accommodate even the youngest of athletes.